“Did Lee Harvey Oswald shoot at General Edwin Walker months before the Kennedy assassination? As in virtually every Warren Commission conclusion regarding Oswald, it is unsupported by the evidence”. “I was sitting behind my desk. It was right at 9 o’clock, and most of the lights were on in the house and the shades were up. 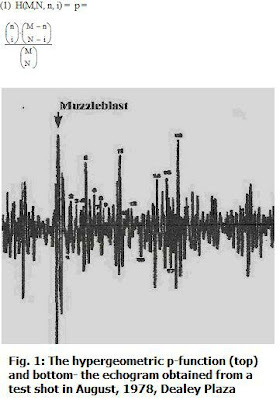 I was sitting down behind a desk facing out from a corner, with my head over a pencil and paper working on my income tax when I heard a blast and a crack right over my head…The bullet went through the screen frame. Then it went through a portion of the window frame and a portion of the glass”. Walter “Kirk” Coleman, a neighbor, added he heard the gunshot, looked out his window and saw two men depart the church parking lot next to Walker’s house in two separate automobiles. A police report was filed but no one was ever arrested. “Walker is totally unaware of who Oswald is until after the assassination when he recognizes his picture on television as one of hundreds of people that Walker has passed information to at airports, train stations and parks during his work in military intelligence. Believing that he may, in fact, be set up as a fall guy for the assassination because of his association with Oswald or because he knows (because of contact with Oswald) that Oswald is an agent of some sort, Walker is in fear for his own life. Walker recognizes that his work within the “right wing” will make him a suspect in the assassination conspiracy investigation. In panic he makes contact with a German newspaper that prints, based on an interview with General Walker, a story about Oswald shooting at Walker. Walker was questioned by Mr. Liebeler of the Warren Commission on July 23, 1964. He was asked about a phone call he received at the Captain Shreve Hotel in Shreveport, Louisiana on November 23, 1963 at about 7:00 a.m.
Walker’s Warren Commission testimony is interesting to say the least, perhaps misleading for a purpose. The Warren Commission was established the same day this article appeared in Germany. The information in the article mirrors the Warren Report conclusions dealing with the Walker shooting. Is it possible that Walker, after seeing Oswald’s picture on the television news, recognized him? How would Walker, an outspoken critic of Kennedy, react to the assassination if he did in fact recognize Oswald? “Two new tidbits of information that I have heard, seen or read in the past 72 hours while visiting the 6th Floor Museum. 1. The bullet recovered from Walker’s home was called “steel” jacketed in the Walker incident police report. The bullets used in the Kennedy assassination were Copper. 2. The angle from which the bullet seems to have entered Walker’s home does not appear to have been a straight shot: Window, past Walker, into wall directly across from the window. Instead you have window, Walker, then into a wall that is adjacent to the exterior wall where the window was. This means the angle from which the shot was taken was much more difficult that what I had previously thought. I had the opportunity to see some newsreel movies of the site taken the night of and the next day as the Walker incident happened (April 10 and 11, 1963). And yes Walker did show his wounds to the cameras the day after the incident occurred”. Marina Oswald has now told us that she was threatened with deportation. What would have happened to her American-born baby? Here we see her being interrogated by four men. (were any women present at any time? She was a nursing mother, by the way, with a six-week-old baby. Lee Oswald himself had Walker’s NAME and PHONE NUMBER in his address book. But he also had the name and phone number of FBI agent James Hosty in his address book. We cannot know what Lee thought of anyone simply through a name or phone number. “Oswald was familiar with the case of General Edwin Walker, an army general relieved of his command by the Kennedy administration for indoctrinating his troops with an anti-communist program of speeches and literature. After he was admonished for propagandizing his soldiers, [and sent to a mental hospital by Bobby Kennedy…note by JVB], Walker resigned from the army and retired to Dallas, where he became a leader in the anti-communist John Birch Society…In his speech notes, Oswald dismissed the danger of an army coup led by a demagogue such as Walker as being too unwieldy.” (Ref: http://suite101.com/article/beating-the-bushes-hunting-for-ea-walker-1963-a377193 ). According to the statements of Abraham Bolden in his book THE ECHO FROM DEALEY PLAZA and the material in James Douglass’ book JFK AND THE UNSPEAKABLE, an informant named “LEE’ contacted the FBI barely in time to save Kennedy’s life: armed men were arrested in Chicago. Dr. Mary Sherman had important contacts, having lived most of her life in the Chicago area (see Edward T. Haslam’s book, DR. MARY’S MONKEY, for more information about Mary Sherman, Lee Oswald and Judyth Baker). In Part One, we established that it was highly unlikely that Lee Oswald was ever involved in the General Edwin Walker assassination attempt occurring in Dallas some seven months prior to the Kennedy assassination on April 10, 1963. Lee H. Oswald was never considered a suspect until after his widow, Marina, was questioned, under suspicious circumstances and without any outside protection from threats, including deportation threats, which we now know influenced her testimony significantly. Even though the Warren Commission assured her she would not be deported, previous to that, Marina had been threatened, during interrogations by the FBI, with deportation if she did not cooperate (viz: Vol. I, p 79, Vol. I, p. 410). With Oswald dead, Marina faced possible arrest and execution had she been deported back to the USSR, with her American-born infant left behind, to say nothing of what might have happened to her Soviet-born toddler. Now that you’re alert to how cleverly evidence and witnesses can be manipulated, let’s move on to look at more evidence in the Walker shooting case, showing how Lee Oswald very likely had nothing to do with the incident at all. It’s a long journey, but at its end, you’ll see a dozen more examples of an almost fiendish will to convict Lee Oswald using every possible kind of deception, and you will be an expert at how these deceptions were used to frame Lee Harvey Oswald. DID OSWALD FIRE A COPPER-CLAD BULLET AT GENERAL WALKER? The Magic Bullet was supposed to be responsible for creating seven distinct sites of damage to muscles, rib bones and wrist bones, before somehow exiting Connally’s body in the operating room to land onto somebody else’s stretcher out in the hallway. the bullet was copper-jacketed. The “Magic Bullet” CE399 (above and right, below) is compared to “The Walker Bullet” –as so labeled by The Warren Commission. But there are huge problems with this bullet. ORIGINALLY, THE COMPOSITION OF THE BULLETS’ JACKETS DIDN’T MATCH –BUT YOU’D NEVER KNOW IT FROM THIS PHOTO! 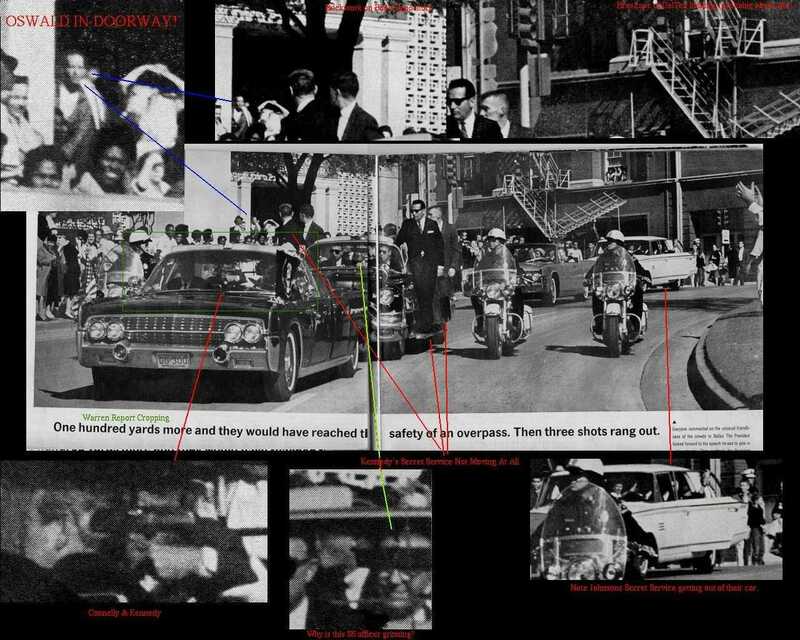 Furthermore, the composition of the “Walker bullet” as reported as analyzed by 3/27/64 did not match the composition of a bullet fragment found in the Kennedy limo attributable to a bullet fragment supposedly only able to have come from Oswald’s rifle. “The bullet used and pictured on the TV by US Senate G.Robert Blakey Committee on Assassinations is a ridiculous substitute for a bullet completely mutilated by such obstruction, b[e]aring no resemblance to any unfired bullet in shape or form. 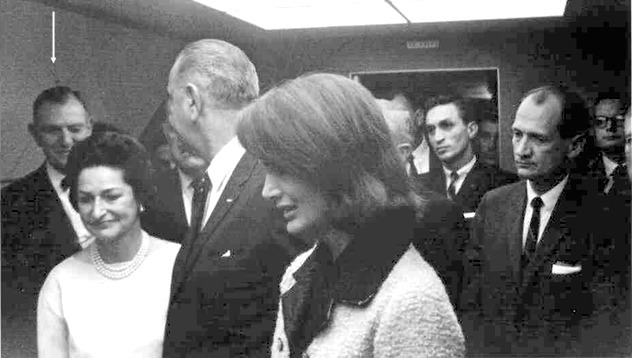 The Warren Commission told Walker he was wrong, and then told the American people that the bullet known as CE573 was the one that Oswald shot at Walker. What did Walker have to say about this? First, Walker believed that Robert Kennedy used Lee Oswald and a second person to shoot him — two men were seen by a witness Walker trusted as leaving the scene that night in a car, at high speed. Researcher Gil Jesus has compiled the written objections concerning CE573 that Walker made. They are stunning. The Jan. 12, 2012 discussion on Education Forum added this important bit of information by researcher Martin Hay: “Walker’s belief is, of course, supported by the Dallas Police report which describes the actual bullet as “steel jacket”. (24H39). What is just as interesting, and less well known, is that the Walker bullet was actually metallurgically distinct from the JFK assassination bullets. The assassination bullets had a lead core in which antimony was the major impurity. CE 573 on the other hand had a lead core with tin as the major impurity. The reason for this is that the lead core of bullets is usually made from scrap lead because it’s the cheapest lead available. This lead is often hardened by alloying it with antimony. However, during World war II, there was a shortage of antimony and tin was used instead”. 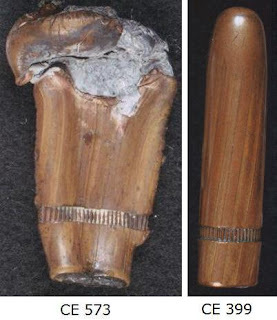 So CE 573 and the assassination bullets were from different batches made at completely different times – the former during WWII and the latter during the post-war period. In that report, TWO DIFFERENT DETECTIVES CLAIMED TO HAVE FOUND THE BULLET !!!! (McElroy and Norvell ) It also claims that Lt. Day received the bullet from Det. B.G. Brown and took it to the Dallas Police Crime Lab at Parkland Hospital for an identification. The bullet remained there from April 25th to December 2, 1963 at which time it was released back to Lt. Day. The FBI got the bullet on December 4th, but didn’t turn it over to the Commission until March 21, 1964. The interesting thing in this document is the reference to the discrepancies in the police reports on page 18. Officer B.G. NORVELL found the bullet. . . and it was given to Det. B.G. BROWN, Crime Laboratory Division . Over a year later, on May 28, 1964, Detective DON MCELROY advised he found the bullet and turned it over to Officer BROWN . On the same date, Officer BROWN stated he obtained the bullet from officer NORVELL. Officer TUCKER, on June 2, 1964, and former Officer NORVELL, on June 3, 1964, both stated NORVELL found the bullet and he, in turn, gave it to McELROY, who said he would take it or give it to the Dallas Police Department Crime Laboratory. So Norvell says he found the bullet and gave it to Brown. McElroy says he found the bullet and gave it to Brown. Then, a few days later, Norvell changes his mind and says that although he found the bullet, he gave it to McElroy. This version is backed by his partner, Tucker. But Brown is already on record as saying he received the bullet from Norvell. There’s major problems with this chain of custody not to mention the fact that none of these officers were called to testify regarding the identification of CE 573 as the bullet they recovered. Edited by Gil Jesus, 11 January 2012 – 03:58 AM. Mr. Eisenberg- Mr. Frazier, I now hand you a bullet in a pill box which is marked Q-188. I ask you whether you are familiar with this bullet.I would like to state for the record that this bullet was found in the Walker residence after the attempted assassination of General Walker. Mr. McCloy- As far as you know, we have no proof of that yet? Mr. Eisenberg- That is right (3H438). Mr. JENNER. Who is Mr. Coleman? Do you know a man by that name? Mr. JENNER. Walker Kirk Coleman. Mr. SURREY. As I just read on the back of your exhibit, he is the boy that reported seeing several automobiles at the time of the assassination. Walter Kirk Coleman was the 14-year old neighbor of General Walker. On the evening of April 10, 1963, he was working with his godfather building shelves in his room, when he heard a shot sometime between 9 and 10 pm. He immediately ran from his first floor bedroom and looked over a stockade fence into the Mormon church parking lot that adjoined General Walker’s property. He saw two men getting into two cars and leaving the parking lot. On June 3, 1964, FBI agents Robert Barrett and Ivan Lee interviewed young Coleman, he was able to describe the men he saw and the cars. Which brings us back to the final piece of evidence that is supposed to seal Oswald’s being the man who shot at General Edwin Walker: a note, written in Russian, where Oswald tells Marina what to do in case he is killed or arrested. The note is described as written for her guidance just before Oswald shot Walker, in case Oswald would be arrested or killed. For nearly fifty years, the American people have been told again and again that Oswald’s note proves he shot at Walker. It does no such thing. And I can tell you why. The so-called “Walker note” has two pages, but only one has usually been shown in articles. Above, both pages are shown, with the translation provided by The Warren Commission. The handwriting seems to be Oswald’s and was identified as such. There are eleven items that Lee Oswald wrote to his wife. They are translated as follows. 1. This is the key to the mailbox which is located in the main post office in the city on Ervay Street. This is the same street where the drugstore, in which you always waited is located. You will find the mailbox in the post office which is located 4 blocks from the drugstore on that street. I paid for the box last month so don’t worry about it. 2. Send the information as to what has happened to me to the Embassy and include newspaper clippings (should there be anything about me in the newspapers). I believe that the Embassy will come quickly to your assistance on learning everything. 3. I paid the house rent on the 2d so don’t worry about it. 4. Recently I also paid for water and gas. 5. The money from work will possibly be coming. The money will be sent to our post office box. Go to the bank and cash the check. 6. You can either throw out or give my clothing, etc. away. Do not keep these. However, I prefer that you hold on to my personal papers (military, civil, etc.). 7. Certain of my documents are in the small blue valise. 8. The address book can be found on my table in the study should need same. 9. We have friends here. The Red Cross also will help you [Red Cross in English]. 10. I left you as much money as I could, $60 on the second of the month. You and the baby [apparently] can live for another 2 months using $10 per week. Marina testified that she originally found this note in her husband’s “private room” which was the size of a large closet. She had been told not to enter the room. However, it was Ruth Paine who ‘found’ the note for the Warren Commission, tucked away, she said, in a book the police somehow had managed not to confiscate. “The Commission concluded that Oswald attempted to kill General Walker on April 10, 1963. It was important for the Commission to show that Oswald was the shooter in order to prove that Oswald had a propensity for violence. The Commission based its conclusion on 4 “facts”, the first of which was the note. “Based on (1) the contents of the note which Oswald left for his wife on April 10, 1963, (2) the photographs found among Oswald’s possessions, (3) the testimony of firearms identification experts, and (4) the testimony of Marina Oswald, the Commission has concluded that Lee Harvey Oswald attempted to take the life of Maj. Gen. Edwin A. Walker (Resigned, U.S. Army) on April 10, 1963. Commission Exhibit 1 is the note Oswald allegedly left for his wife. It was written in Russian. ..
2) the note is undated. Several different items referred to in the translation which make no sense to me. Item # 2 says, “Send the information as to what has happened to me to the Embassy and include newspaper clippings ( should there be anything about me in the newspapers ). ” But Marina Oswald could not read English-language newspapers ( 2 H 489 ) and would not have known which clippings to send. Why would the Soviet Embassy in Washington care about an American citizen being arrested for killing another American citizen ? It wouldn’t. So it makes no sense. You’ll notice also all of those checks also took only two days to make it back to the bank, regardless of where they were cashed. This means that Oswald’s checks were not mailed. Since Oswald had been terminated at the time this note was allegedly written could he have been referring to his last paycheck only? I don’t believe so because it too required only two days to clear the bank (red squares) and for this LAST check to have been mailed, the dates on the bank stamp would have reflected the additional time required to cash the check. Speaking of stamps, if you look at the stamp on the left side of the last check, issued on April 10th, the month is marked as MAR. Besides, how was Marina Oswald going to cash a check made out to her husband ? Another item in the translation I have a problem with is # 9, where Oswald says that the Red Cross will help you…..
A third item in the translation that makes no sense is Item # 10, Oswald’s notifying Marina that “I left you as much money as I could, $60 on the second of the month”. If you look at Oswald’s next-to-last paycheck, it wasn’t issued until April 3rd and wasn’t cashed until April 5th. And if he left the $60 from the March 27th check of $ 74.38, how did he pay the rent, the gas and the water ( which he said he paid in the note ) with only $ 14.38 ? “Marina’s answers to the questions posed to her by the HSCA were vague and evasive. She had made contradictory statements to authorities about WHERE she had found the note and what she had done with it after she found it. By the time she appeared before the HSCA, her memory of the details of the note was all but gone. That Oswald had NOT left the note FOR MARINA becomes apparent when one reads her testimony, in which she admits that she went into his “private room” and discovered the note. Mr. RANKIN. How did you first learn that your husband had shot at General Walker? The Commission, in its report, admitted that Marina found the note in Oswald’s private room, which she was told to stay out of : “…she had found the note in Oswald’s room, where she had gone, contrary to his instructions, after she became, worried about his absence.”( Report, pg. 405 ) If the note was meant for her eyes, why would he leave it in a room he told her to stay out of ? One would think that had the note been handled by both Oswald and Marina, the note should have contained the fingerprints of at least one, if not both of them. But that’s not the case. On December 3, the note was sent to FBI Headquarters, where it was examined by the FBI’s fingerprint expert, Sebastian Latona. 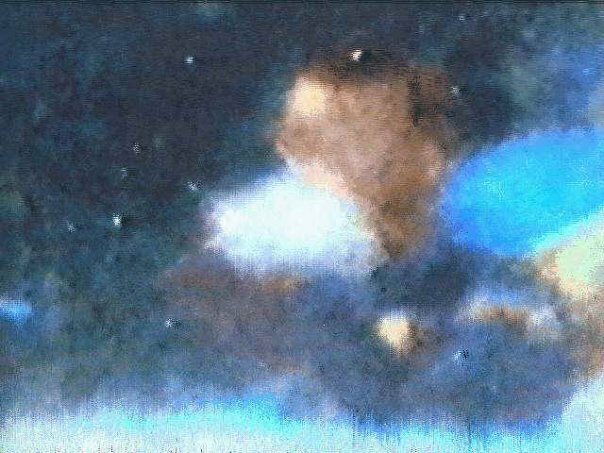 Latona reported to his superiors that although he found SEVEN latent fingerprints on the note, they were “not identical with fingerprints of Lee Harvey Oswald or Marina Nikolaevna Oswald”. One might ask how the Warren Commission handled this evidence — it suppressed it. When Latona testified before the Commission,he was never asked about the fingerprints on the note. He was never asked if the FBI had tried to identify the fingerprints found and was never asked to give a perfectly good reason why neither Oswald’s nor his wife’s prints were on it. In addition, this report was never included in the Commission’s 26 volumes of evidence and testimony. The lack of Marina’s fingerprints is on the note is significant, because without them there is no evidence that Marina’s version of how she discovered it, her confronting Oswald with it and what she did with it afterwards is in question. All of these things required her handling the note, of which, sans the fingerprints, there is no evidence. I’m not saying she didn’t handle the note. I’m saying that there is no physical evidence that she did. We have seen Gil Jesus’ concern about the last check. It is mis-stamped with March and issued April 10th. The signature on the back of the check is not quite right, either, for some of us who notice such details. Some have declared that this check was created to take the place of the original check, which might indeed have been mailed, but which then would place THE WALKER NOTE at a possibly LATER DATE. And we couldn’t have anyone suspecting that the note was written for some other purpose, could we? Perhaps it was. You’d be surprised how much detail on Lee’s life is available. For example, Mary Ferrell’s chronology chronicles a great deal of Lee’s life. Ferrell’s chronology assumes, however that Lee shot at General Walker. The problem with this, of course, is that burying the rifle is a highly unusual way to hide a rifle. Why didn’t Oswald simply bring it home again, wrapped in the raincoat in which he was supposed to have brought it, to begin with, to the Walker residence area by bus? Asked about when Oswald did target practice, she naively answered that he shot at leaves in the park (against the law and again, highly unlikely). Three days later, Oswald supposedly removed the rifle from its buried location, cleaned off the raincoat– and then took a shot at walker –all this without anyone seeing him–even the 14-year-old eyewitness who saw two men, neither resembling Lee Oswald, departing quickly in two separate cars right after the shot was fired. It was found (?) by Mrs. Michael Paine on 11/30/63 in one of two books which she was returning to Marina through the Arlington police on 12/2/63. (WC Vol 22, p. 779; WC Vol 24, p. 47; WC Vol 25, p. 723). 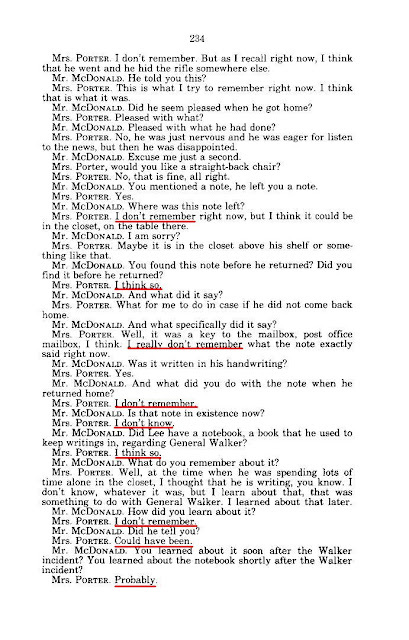 Ruth Paine has an interesting connection to the termination of Lee’s employment at Jaggars-Chiles-Stovall, sometimes used as a benchmark to prove that Lee Oswald was becoming unstable, having lost his job or terminating it himself (reports vary, but termination is the usual story). Ferrell shows Oswald paid the water and gas bill with a deposit made April 8. When Oswald, in the note he wrote (apparently) to Marina, said he paid the gas and water bills “recently” it means, therefore, that the note was written not only after April 8, but also that at least a couple of days had passed. The word assumes a passage of time beyond just one day past the day of the payment. This brings the date of the note up to at least April 10. 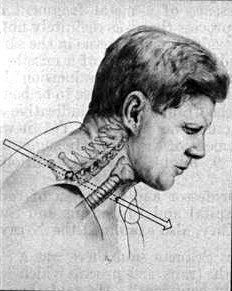 The Walker attack occurred on April 10. But wait—there’s more. Witness Walter Kirk Coleman, 15, 4338 Newton, sees white male, 19 to 20, 5′ 10″, 130#, dark bushy hair, thin-faced with a large nose, real skinny, get into a white or beige 1950 Ford after the shooting on the Morman (sic) Church parking lot. Witness Coleman also sees a white male, 6′ 1″, about 200#, wearing a dark, long- sleeved shirt and dark trousers, get into a 1958 black-over-white, two-door Chevrolet, and both the Ford and Chevrolet leave the parking lot. (WC Vol 23, p. 761) Witness Coleman notices a Renault, or some foreign-made car, parked next to the Chevrolet. Coleman believes it belongs to the Church caretaker. There is a meeting at the Mormon Church on this evening. (WC Vol 23, pp. 763- 764; WC Vol 26, p. 753), 7:30 p.m. to 9:00 p.m. Scott Hansen, the son of the Mormon bishop, recalls a black-over-white 1958 Chevrolet and remembers seeing it on a previous Wednesday evening. A witness describes two men, neither resembling Lee Oswald, as associated with the shooting. This reminds us how witnesses at the Tippit shooting described two men who did not resemble Oswald. 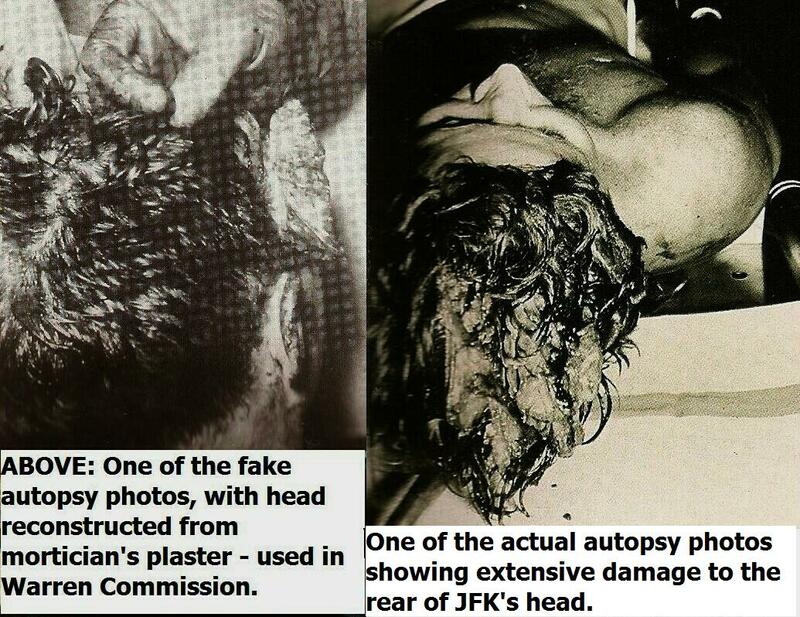 In both cases, such witnesses were ignored b y the Warren Commission. Again and again, we hear the verdict “the witness must have been mistaken” in this case. Ferrell speculates that Marina had tried to commit suicide, after which the record shows a fight occurred, with Oswald striking his wife and neighbors complaining. At about the same time, a recently divorced man – Gary Taylor –visited Marina, which could have caused Oswald’s fury to ignite. That Sunday, April 14, George and Jeanne deMohrenschildt came to visit for the last time before leaving for a trip east, and then on to Haiti. Later, they will tell the Warren Commission they saw a rifle in a closet at the Oswalds. By now, Marina says that the rifle, which she says Oswald once again had buried OR hidden in bushes, after shooting at Walker, is now back in the apartment. Note: the only people ever to have asserted that they ever, at any time, saw a rifle in Lee Oswald’s possession were these three persons. Not even Ruth Paine had ever seen it. WHAT WAS THE REAL REASON FOR THE WALKER NOTE? Lee told me he put in a request to transfer –possibly on that same day –to New Orleans after being ordered (by deMohrenschildt?) to put a sign around his neck and hand out pamphlets and flyers in a pro-Castro demonstration on a Dallas highway. Lee told me he feared for his life through such an assignment, because Walker had recently been shot at. However, he realized that if he turned down the assignment, he could be under suspicion as a turncoat spy. Reluctantly, he agreed to accept the assignment. However, Lee still feared he could be shot at by police as he stood there, due to their hyper-sensitivity after the Walker incident. Or, barring that, he knew he could be arrested and that the Dallas police, if they learned that he had lived in the USSR and had been a ‘defector’ were so radical that they might well beat him to death or shoot him. Lee told me he told his handler(s) that he could more good in establishing himself as pro-Castro –his original long-term assignment– in his native city, New Orleans, where active anti-Castroites would take notice. At the same time, Marina would have Oswald’s family members nearby to help protect her. Question: Did Lee make this request through George deMonhrenschildt? Such a fear could have prompted Lee to write the UNDATED note. It would also explain why Lee did not think the note was worth destroying, since he did return safely from his pro-Castro demonstration. April 16, 1963 (Tuesday) – Oswald writes to the Fair Play for Cuba Committee New York office. He says that he passed out their literature on the street the day before and requests that they send him some more. By giving his Dallas address, does Oswald indicate that he had no plan to move from Dallas, which he does on April 24? In the face of the Warren Commission, the FBI, the CIA and interrogations in another language, Marina ‘s responses suggest she may never have regarded the note as important. Confronted with it by interrogators after it was “found” by Ruth Paine. Marina conceded that the note had to do with the Walker shooting , even though it was undated and the dangerous Viva Castro demonstration on Main Street had been conducted shortly after. Marina told several versions of her story about the Walker incident, beginning with telling investigators she thought Lee went to a typing class the same night – April 10—that Lee supposedly shot at Walker. Marina said she found the note late that night, at about 11 PM. First, she said, she found it on a dresser in the bedroom; later, she said she found it in Lee’s ‘closet room.’ She said Lee arrived home about an hour later – too late, we believe, to have used a bus as claimed —we can find no records of bus services between Dallas and Oak Cliff area that late at night. Marina says that Oswald took different buses to and from General Walker’s house. (WC Vol 23, p. 402; WC Vol 24, p. 48; WC Vol 25, p. 730). Marina says that Oswald claimed he walked to General Walker’s and came home on the bus. (WC Vol 22, p. 756; WC Vol 23, p. 391). Why Oswald would walk that distance, when bus services were available, then ride a bus back, seems illogical. He had the funds for a bus ride. Marina’s story demonstrates how little we can trust her report until we have better information about such matters as bus services that night. Even Ferrell noticed the “typing class” excuse was a poor one, since the class did not meet on Wednesday and Lee left too late to be going to the typing class. Marina says: 1. Oswald returns to their apartment for supper and leaves between 7:00 p.m. and 7:30 p.m. (WC Vol 1, pp. 35, 37) 2. She thinks that Oswald has gone to his typing class. (WC Vol 23, p. 391) (Oswald attended this class on Monday, Tuesday and Thursday, not Wednesday. And, he had not attended since 3/28/63. The class met between 6:15 p.m. and 7:15 p.m.
April 20, 1963 (Saturday) – The Oswalds take Mrs. Michael Paine to Lake Cliff Park for a picnic. (WC Vol 2, p. 456; WC Vol 9, p. 350; WC Vol 24, p. 692). Lee’s dangerous assignment only a few days after the Walker shooting could have provided the real basis for the undated note Marina said was connected to the Walker shooting. Considering the pressure Marina was under, we can forgive her saying whatever might have been expected of her, but it is startling that neither Ferrell nor anyone else ever noticed, across the span of five decades, that the act of carrying out a pro-Castro demonstration so soon after the Walker incident might have worried Oswald as to its consequences —enough to have impelled him to write such a note– yet, after the assignment was completed, the note was not important enough to seek out and destroy. The point is important: Lee Oswald did not think the note was important enough to destroy. Surely he would have destroyed such a note if it had been truly linked to the Walker incident. Marina says he destroyed notebooks related to the Walker incident. Ferrell never made the connection, and the Warren Commission conveniently forgot to notice. THEY EVEN LEAVE IT OUT OF LEE’S CHRONOLOGY. Why are we not surprised?